Packaging has become an essential part of the buying process. With the prevalence of online shopping and social media, organisations cannot afford to ignore the significance of investing in the right packaging. Packaging is in itself a promotional tool that increases sales while reducing marketing and costs of promotion. A package captures a consumer’s attention towards a certain brand, stimulates consumer perception about the product and increases its image. A differentiated package gives a product its identity and helps consumers decide which product to buy from a wide range of similar products. With the online marketplace gaining more power by virtue of numbers, consumers have a great influence on brand perception. When consumers share videos or images of products online, they are reaching out to other potential customers who value their peer’s opinions about a brand. It is essential for brands to understand the motivation behind a consumer’s decision to share a branded image or video. 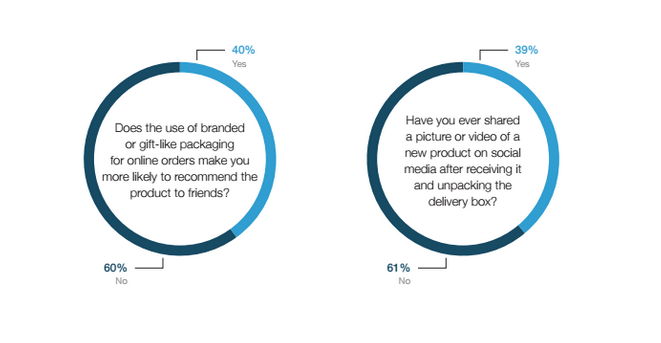 Dotcom Distribution took up the challenge to survey the reasons behind consumers packaging expectations and their motivation to share branded images and videos on social media. The results, compiled in a detailed report, unearthed how packaging impacts brand perception, especially in the case of online sales. The report also explains why consumers share branded images on Social Platforms and how their actions affect purchase decisions. More than sixty per cent of online shoppers say that premium packaging makes a brand seem more affluent and expensive. About fifty per cent of shoppers say that premium packaging makes them more excited about opening a package. Forty per cent of online shoppers are more likely to recommend a premium packaged product to their friends. The survey also established that thirty eight per cent of shoppers think premium packaging matters more for luxury goods. It is not uncommon to find numerous videos of shoppers sharing their unboxing experiences online. In fact, about forty per cent of shoppers have shared a product image or video on social media, and almost fifteen per cent of those who haven’t, are likely to do so as a result of premium packaging. A desire to show off and recommend motivates shoppers to share images or videos of products they have bought. About sixty per cent of those who shared an image online did it to show off. About a half of them shared to recommend the product to family and friends. It has become a common trend for shoppers to use social media when searching for photos or videos of a product they want to buy. It is after looking at such images and videos that well over six per cent of online shoppers were convinced to buy a product. The study also revealed that fifty five per cent of online shoppers felt intrigued by watching unboxing videos while about forty per cent felt excited. Although brown boxes are commonplace in the market, consumers still watch out for companies that make an effort in their packaging. Branded packaging makes a significant difference when it comes to customer recommendations and brand image, which are further amplified by social media. 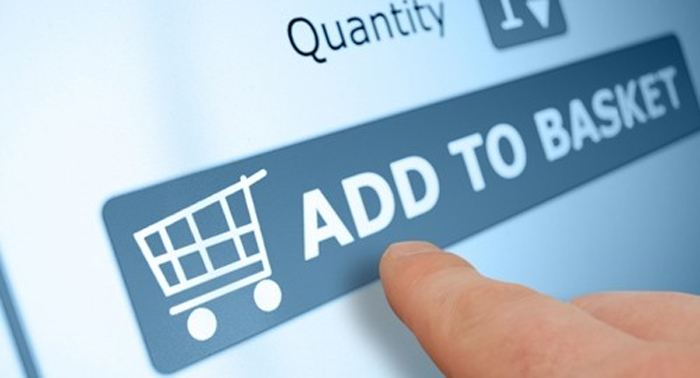 More than thirty per cent of online shoppers say that the packaging used for an online order affects their perception of the retailer or brand. Well over half of this number associated premium branded packaging with more luxurious and upscale products. 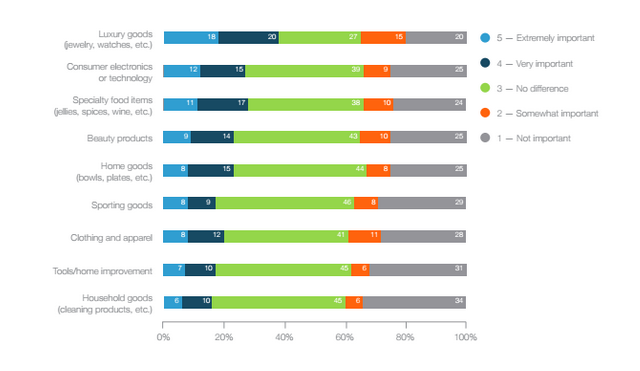 Most shoppers felt like they were getting more value for their money when opening orders with branded packaging. The type of packaging used is also dependent on the product and or service being sold. While consumers wouldn’t care so much about branded packaging for household goods, the reverse is true for more personal products. Premium packaging is a top priority for lifestyle brands that are selling a product as well as an experience. Beauty products and speciality food products rank in the top five products where almost forty per cent of consumers think that premium packaging is crucial. Customer loyalty and brand image can also be big differentiators when dealing with luxury products. Besides shaping brand perception, premium packaging will also determine whether or not customers will be brand ambassadors. Almost forty per cent of online shoppers say they are more likely to recommend a premium packaged product to their friends. Companies that consider the trend gain a huge advantage over brands that use traditional brown boxes. In the current times, product recommendations are mainly via social media. Four in ten online shoppers have shared a video or picture of a new product on social media, with more than half of them saying they did so to make recommendations to their family and friends. Those sharing packaging images on social media prefer to use visual mediums. This goes well for premium packages products because consumers are more likely to share visually appealing images of products they have bought or seen online. If packaging is appealing enough for a photo, consumers are likely to share voluntarily the image or product on social media. Retailers or brands keen on extending consumer excitement beyond the purchase should focus on increasing the number of social media shares by their customers. Social sharing has the power to engage customers even after purchase. Sharing is also a powerful marketing tool for potential customers who use social media for product research. Whenever shoppers share images or videos of products, it’s also important for retail brands that they also share their recommendations and feelings. It’s tough for brands to integrate themselves into personal conversations on social media so having customers independently mention a brand is what brands need. 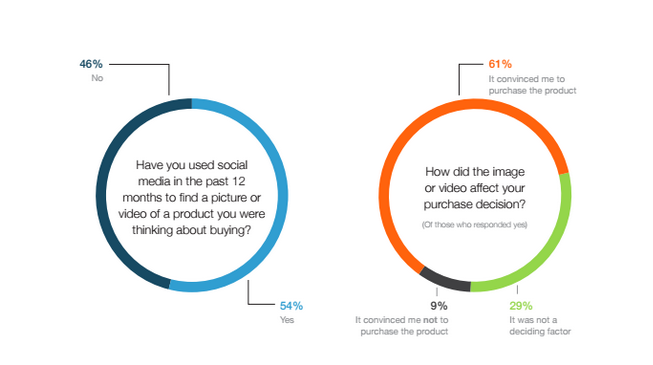 The Packaging Report found that customers using social media as a primary source of product research are more likely to make purchase decisions based on photos and videos of their peers and not brands. More than fifty per cent of online shoppers use social media to look for videos or photos of products before they decide to buy, and more than half of them say the images or videos convinced them to buy the product. More than a third of online shoppers have watched an unboxing video, or footage of a customer unpacking or opening a new product. More than half were convinced to buy the product after watching an unpacking video. About two thirds of those who watched unboxing videos did so to know more about the product. 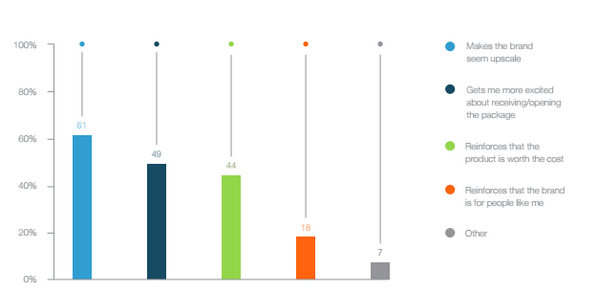 Most respondents felt confident about the products and created an emotional connection with the brand and or product. Consumers are searching online for videos to learn more about the products especially when they are interested in making a purchase. The contents of such videos make them feel positive about the respective products. Given the huge influence images and videos have on the purchasing decisions of customers, retailers should take measures to increase the likelihood that customers will share images and videos of their experiences. Products should be exceptional enough to convince consumers to share with their social networks. The report also revealed that consumers are one and a half times more likely to share pictures of well-packaged boxes on social media than traditional brown boxes. And about forty per cent of online shoppers say they are more likely to share a product image or video on social media of it has branded packaging. By making the right adjustments, retailers can motivate the sixty per cent of consumers who have never shared a video or image of a product online to do so for the first time. About a third of those consumers who took the step to share their experiences online for the first time cited quality, visually appealing packaging and incentives from retailers as the motivating factors behind their actions. Product quality is the premier motivator for social sharing. However, the Dotcom findings also established that giving consumers additional reasons to share will ensure their products are easily found by shoppers who turn to social media for product research. Online retailers should formulate structured plans to encourage social sharing. The nuts and bolts is to create word of mouth marketing that’s capitalises on customer excitement and extend the brand experience. Several tips should create excitement and encourage sharing by customers. Regardless of how well a retailer presents a product, it’s paramount to get a customer’s order right. Including an incentive for sharing or a call to action can also motivate consumers to share their experiences about your brand. A personalised sticker or note can further enhance your customer’s experience and encourage him or her to share about your brand. You want to place the note strategically, so your message is an undertone to the entire unboxing process. Premium retail packaging creates an emotional experience for consumers. When a retailer’s packaging meets or exceeds the expectations of their consumers, and they share images and videos of their experiences, this is a form of marketing. Most importantly, visuals convert customer wants and needs into sales. It is through exciting customers and giving them an opportunity to share, that brands can create a lasting impression and encourage social sharing.